When a gamer plays EA's platinum selling Battlefield title, they will often remember and enjoy the sounds of numerous weapons and vehicles, but of course great sounding voices from clean recordings also make the game shine. In fact, Battlefield has a huge array of characteristic voices! With the recent large budget allocated for higher caliber sessions, incredible actors were hired for the latest series. Unlike recording for singing or broadcasting, the days of using traditional ultra-expensive microphones and other gear are starting to shift. To find out more about this I have interviewed Tomas Danko who is the Voice Over Producer and Engineer at Digital Illusions Creative Entertainment (aka DICE) in Sweden. Tomas was very generous to share with me his years of experience of using various gear for the "best sound". WW: How many years have you been at EA DICE and what is your title there? Have you had any other titles at DICE? TD: I have been at EA DICE for five years as VO Producer. I started out as Audio Assistant and then VO Designer but those titles turned into VO Producer after the first week. WW: What education did you receive and how did you get into game audio? TD: I've been working as an audio engineer, recording and producing music for most of my life. I also started with computer audio in the mid 80s. Besides being a classically schooled pianist and having studied in a dedicated music class I'm pretty much an autodidact. Fiddling with audio on the old 8-bit computers led me from the demo scene into making games at quite an early stage. WW: Tell me about your setup as far as mic preamp, DAW, plugins, and any favorite tools. TD: I have a couple of true-and-tried setups all depending on what I do. The short list would be API 3124+ and 512 mic preamps. DAWs: ProTools HD, Sound Devices 744T, Sony Soundforge and Vegas, Logic Pro. Plugins: Waves L2/L3 limiters and Phase Linear EQ, AudioEase Speakerphone. I'm a big fan of the UAD plugins as well. A favorite non-audio tool for managing audio is Bulk Rename Utility, it's essential in my workflow. WW: Do you also compose, sing, or play any musical instruments? TD: Yes, I used to do all of that and release albums on a regular basis. That is, until I started working on modern AAA title video games because they tend to be very time consuming. I hope to find more time for music composing and production in the future. 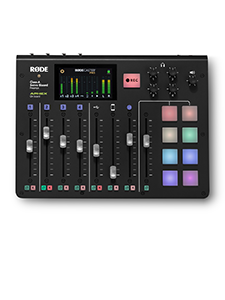 WW: What RØDE mics do you use? TD: I have used and owned most of them throughout the years. 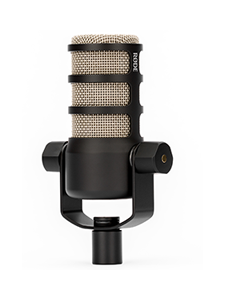 I find the NT1000 to be a versatile mic for vocals as well as drum overheads. The NT5 is great on acoustic guitar, and the NT3 may be the best-kept secret for close micing a hi-hat. However, the K2 has turned out to be my go-to mic for what I do nowadays. 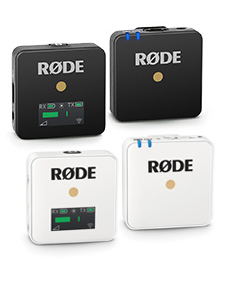 WW: For voice over recordings, how many and what mics did you try out until you settled on the RØDE K2? TD: The usual suspects, the ones that comes to mind would be Neumann (new and many vintage U87s, TLMs), Brauner, Audio Technica, Beyer Dynamic, Sennheiser, Shure and so on. WW: Even though the K2 requires a power supply, do you find this to be a very stable mic? Roughly how many hours per day as well production days did you clock for the latest Battlefield? TD: Looking at my total track record it’s the mic that has failed the least on me with a total of zero K2 mics to go bust during a session. I believe a separate and regulated power supply can actually increase stability in a product. I usually do two three hour sessions per day since most actors don’t last longer than three hours, but it’s not unusual that I myself do ten to eleven hour days. I clocked around 500 hours of indoor VO recordings during Battlefield 3. WW: What other titles has the K2 been in? 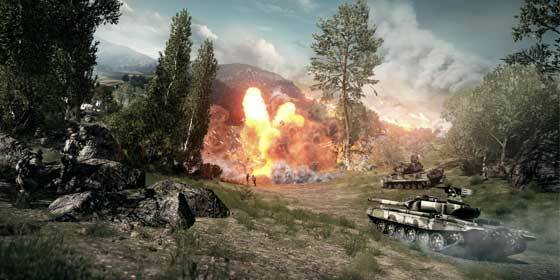 TD: EA Sports NHL (several yearly releases), Mirror's Edge and Battlefield: Bad Company 2 among others. WW: Will you continue to experiment with certain techniques or have you settled on what you have done so far? TD: Continuity and risk management are two very important issues in my field of work. I am also a firm believer in the audio engineer and audio recording equipment and method being totally invisible during VO and Motion Capture recording sessions. It should never inflict on direction and acting. Due to this, I have gravitated towards a few select techniques and gear setups that facilitate this to the full extent. Having said that, I do still experiment with effects during recordings (i.e. lavalier fitted gas mask on the actor, throat mics) whenever I see the need. Our audio is winning a lot of awards such as BAFTA etc, so why change a winning concept? WW: What has been your favorite project to work on and why? TD: Battlefield 3, because it allowed me to step out of the comfort zone and reinvent VO for video games. Massive outdoor recordings, throwing away scripts and letting talents improvise, recording lots and lots more actors and variations than ever done previously for an FPS title. I feel blessed for getting the mandate and budget to realize all these things. WW: Thank you very much, Tomas! TD: You're welcome, Watson. It's always fun to talk about gear and audio, especially with professional fellow colleagues such as yourself! I would like to personally thank Tomas Danko for his generous time and effort. The idea of not having to buy incredibly expensive microphones to achieve great sound agrees with me. Having great techniques as well good microphone preamps are also essential. I personally own many and can say that all of my RØDE microphones are great products. During the writing of this article, I had an itch to play Battlefield again. This time I kept on thinking and saying, "Wow that K2 sounds good!" So you, the reader: buy the game, play it again, and get yourself a RØDE microphone! Many thanks to Watson Wu of Watson Wu Studios for this guest article. Since 2001 Watson Wu has been in the multimedia sound business creating content for video games, film, and TV. He studied music education, composition, piano, voice, conducting, music business, and music technology at both Miami-Dade College and Florida International University. Watson’s love for microphones and gear has lead him to video game projects such as Transformers, NCAA Football, Madden NFL, Need for Speed, Red Orchestra 2, etc. His other credits include commercials for Dodge Ram, Lexus, and many more.